He sat across the desk in complete silence, responding to Turtle's questions with a series of growing smiles, each a few degrees warmer than the last. Not to be perturbed by Turtle's unique interrogative style, he sat comfortably in his chair and watched as the tortoise began to cast his questions in the veil of song. He resisted the lure of a craftily worded sea shanty, withstood the power of an eighties-style rock ballad and even somewhat enjoyed Turtle's soft jazz stylings. But, although the tortoise had tried with all his might to glean just a sliver of information, it was not to be. It seems Turtle would never know who'd supped the last of the office milk. 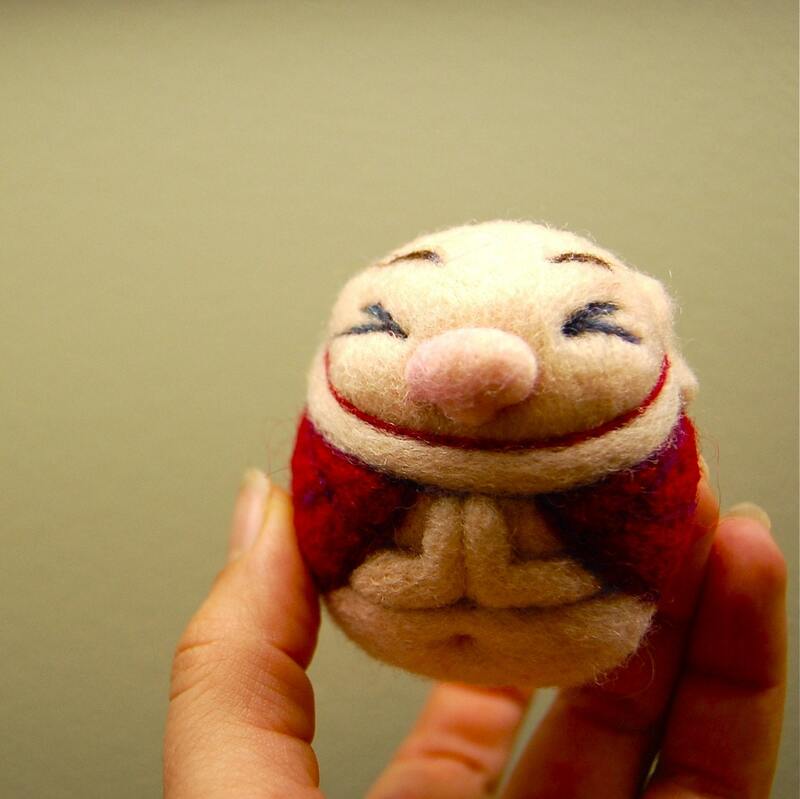 Needle Felted Happy Buddha Egg from Asherjasper.